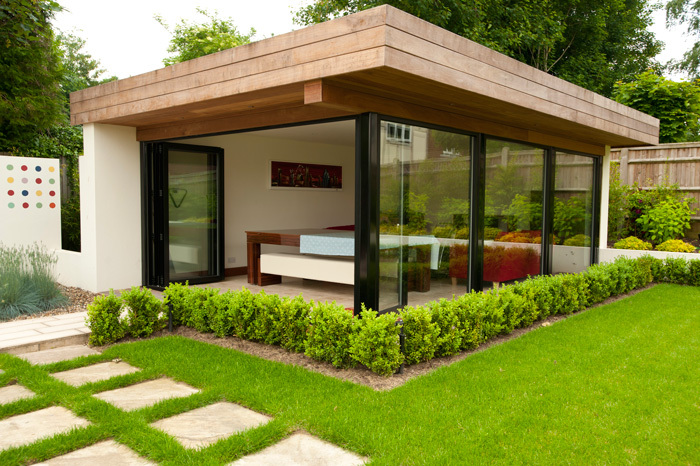 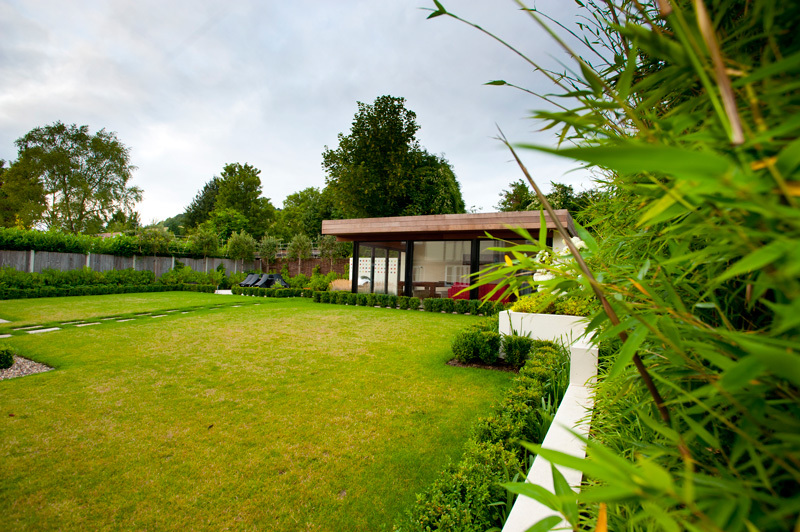 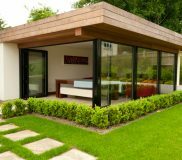 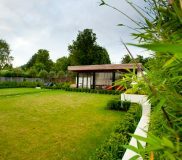 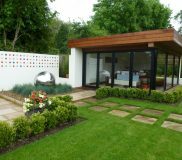 The client required an 8m x 7m garden room which was to be mainly used by the younger members of the family as a “games/ relaxing/ party room.” The building is fully insulated with mood lighting and a full size pool table together with a state of the art HiFi system. 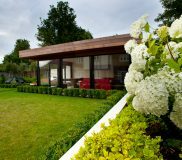 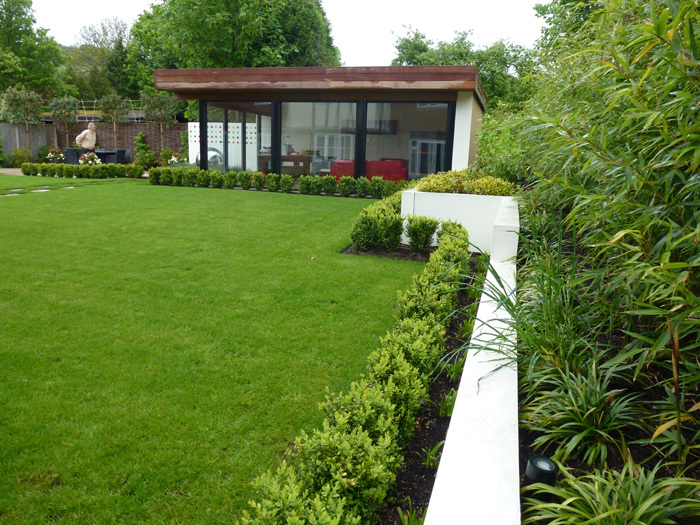 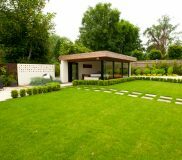 Please see the extensive use of of bamboo, pittosporum, pleached everygreen oak and box to both soften and add structure to the garden. 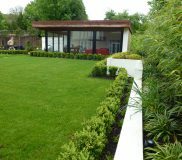 Also included is a fully automated irrigation and lighting system. 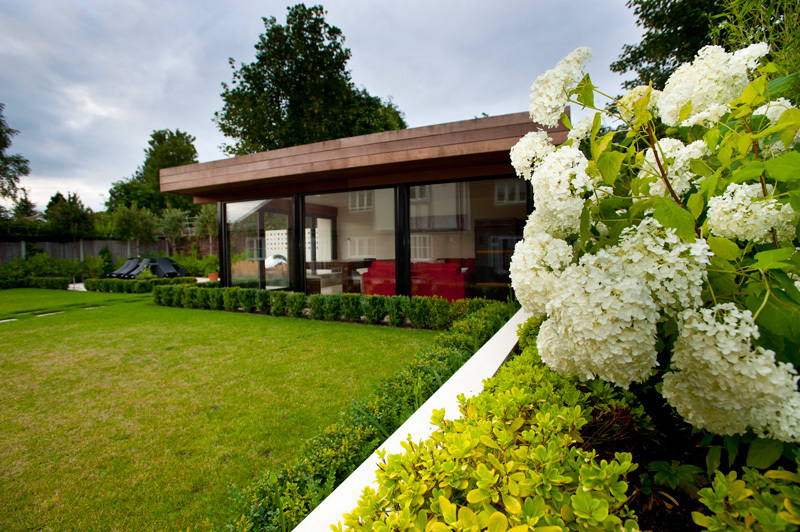 It is also equipped with bi folding windows and features lots of mood lighting which comes into its own of an evening. 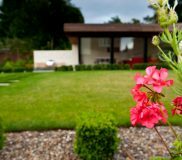 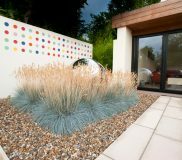 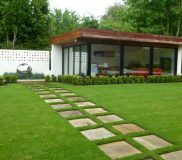 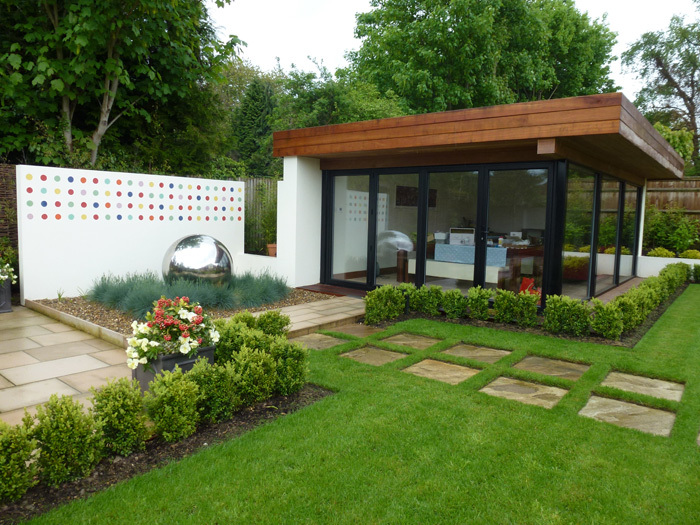 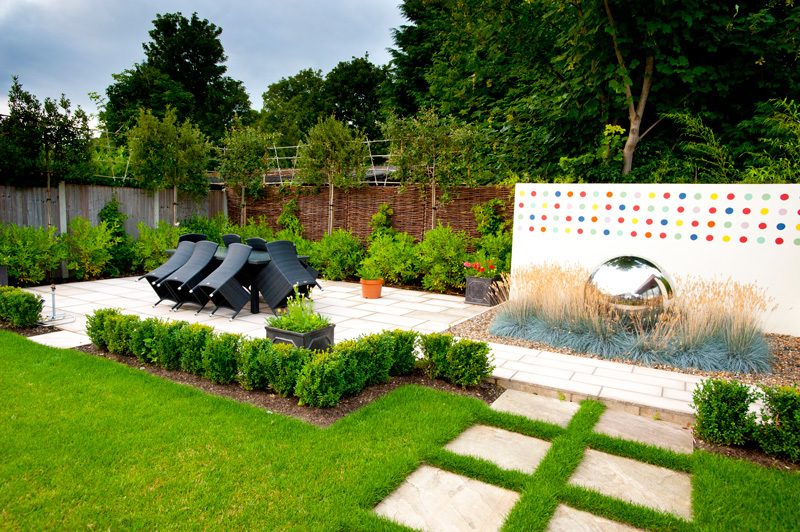 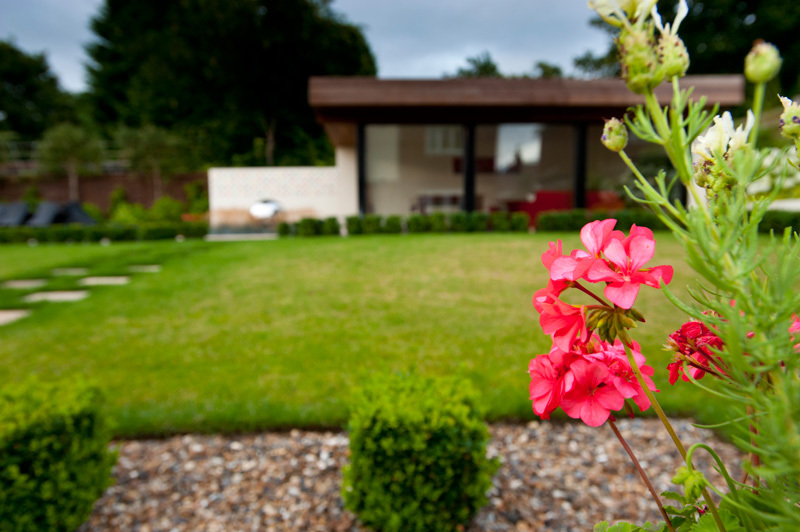 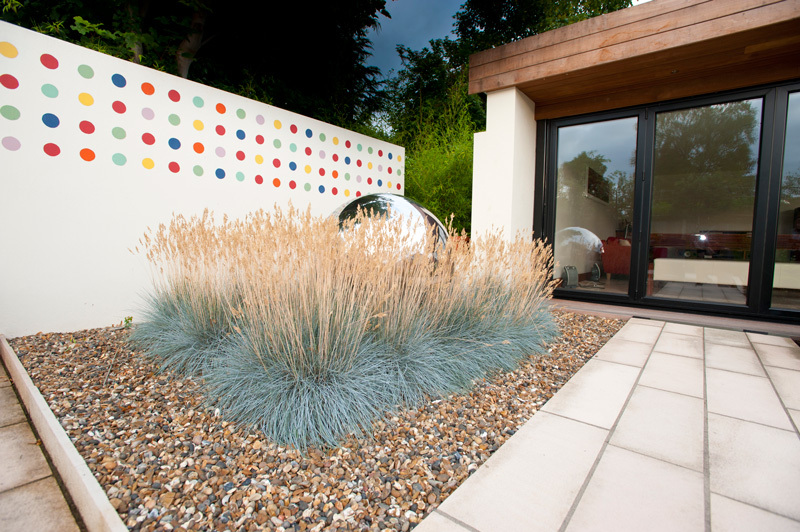 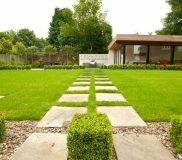 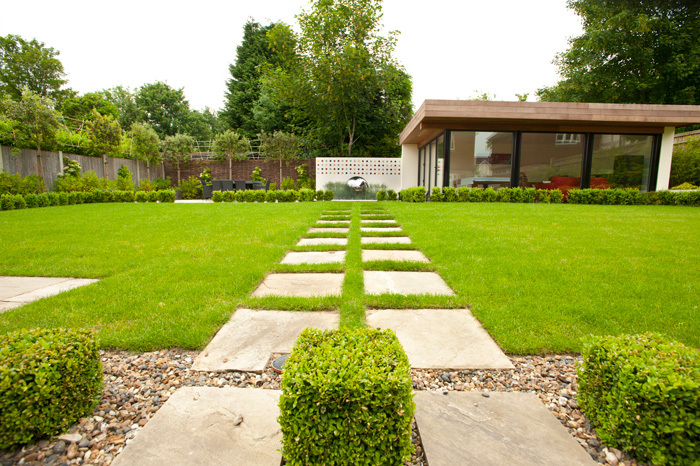 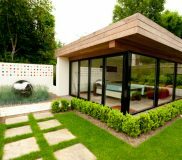 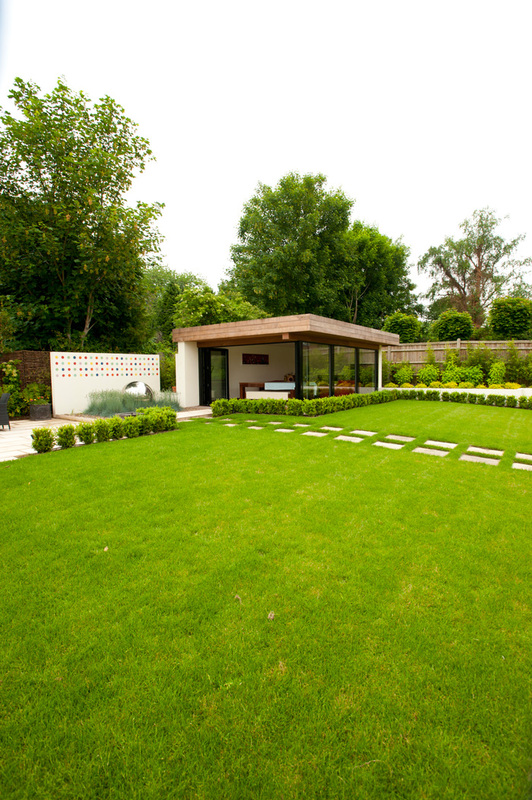 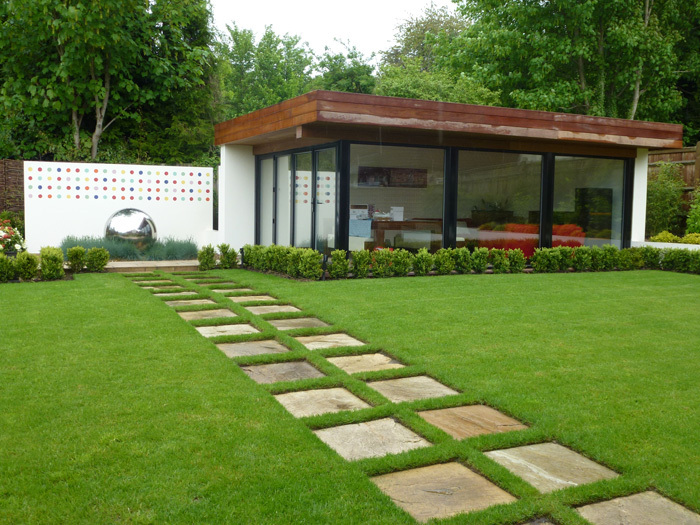 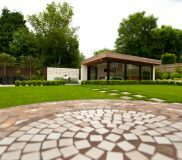 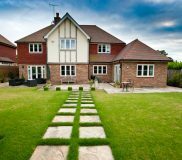 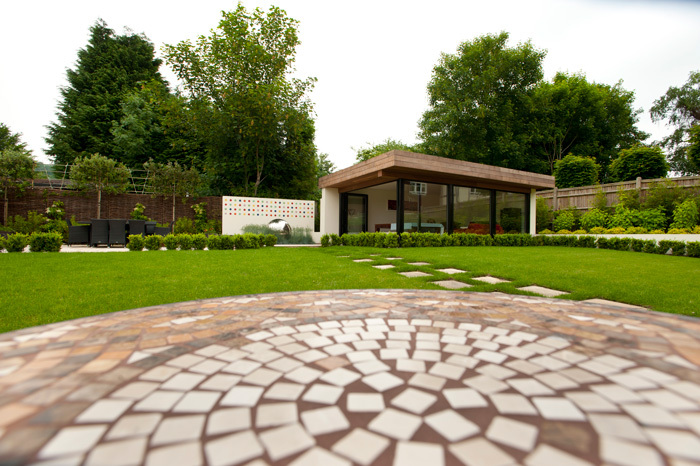 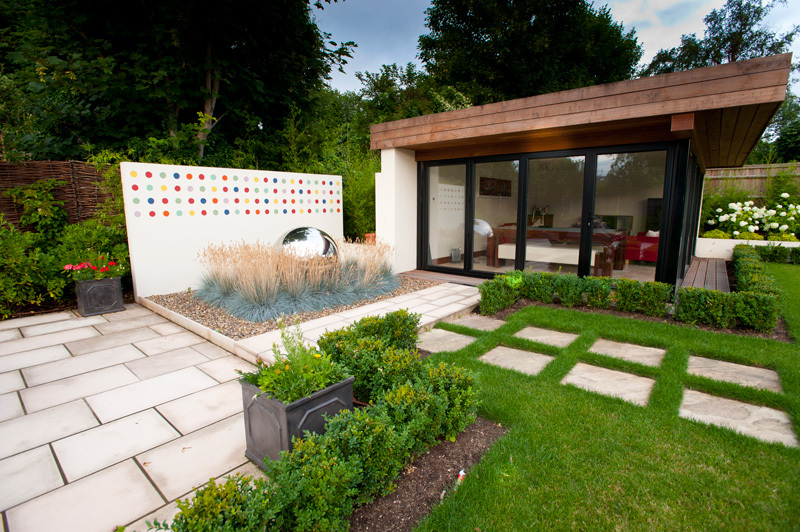 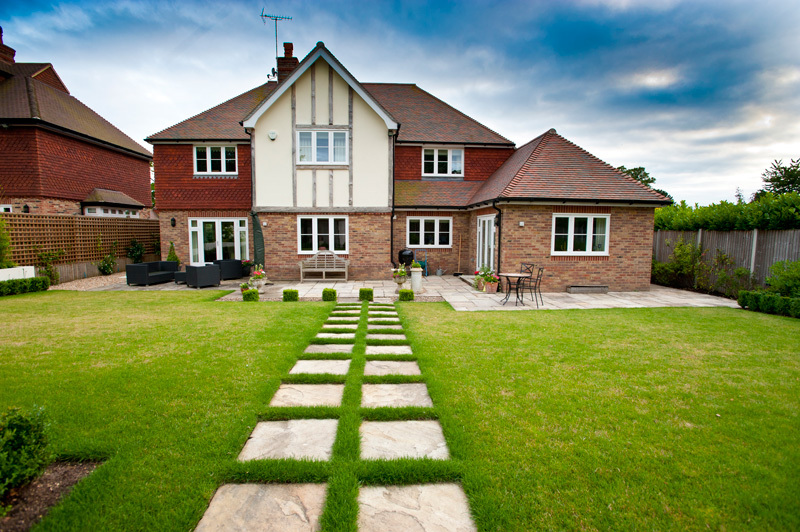 We also carried out some additional landscaping across the gardens which featured some garden paving, a globe water feature as well as a spotted style wall based on the popular Damien Hirst designs.